They say every picture tells a story. If that’s true, the official presidential portrait of former president Barack Obama released Monday at the National Portrait Gallery is reminiscent of one of those Choose Your Own Adventure books. 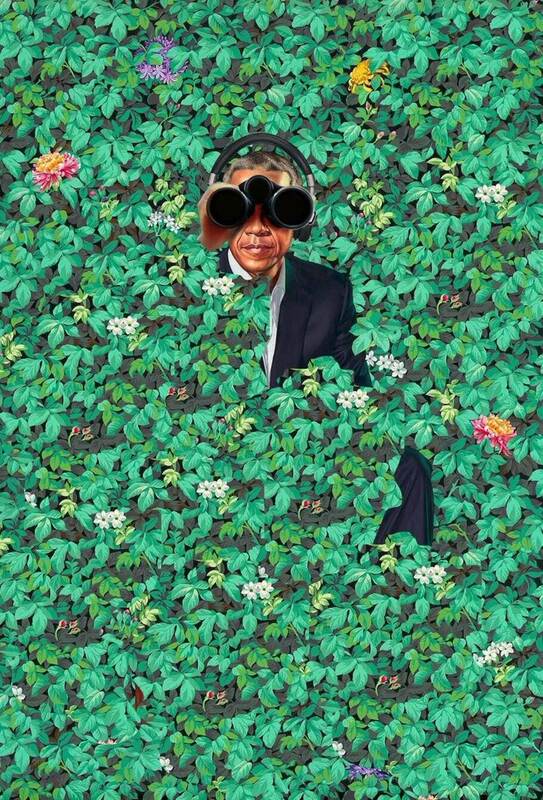 Why is Potus #44 immersed in green foliage and flowers with a resolute look on his face? Shouldn’t he be seated behind the Resolute Desk in the Oval Office with a majestic look befitting the god-man who pledged to stem the rise of the oceans and heal the planet? 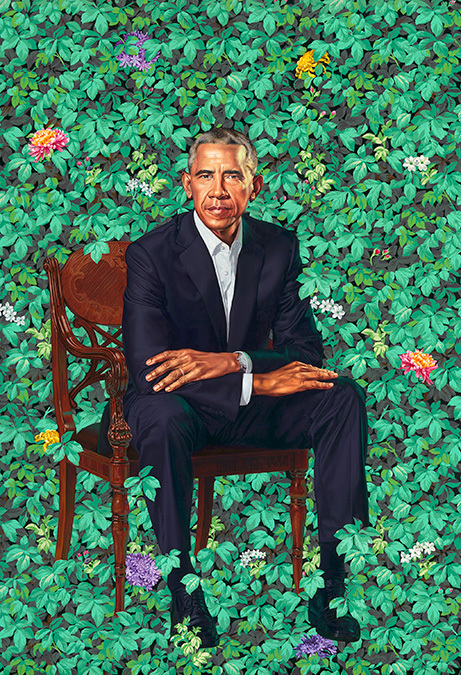 The portrait artist was personally selected by Obama, so it seems unlikely that the green foliage is meant to symbolize all the marijuana that young Barry Soetoro smoked as a member of his Choom Gang in high school. Maybe the green background is meant to epitomize the Green Movement that grew like a weed under the stewardship of Obama’s rogue EPA? 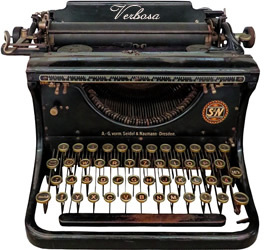 Could it represent the Green Revolution that Obama snuffed out when he ignored the Iranian students protesting for freedoms early in his first term when he sided with the mullah hardliners instead? And what’s with the flowers? If they were pansies and lilies the portrait might make more sense as representative of Obama’s leading from behind foreign policy. To be honest visitors viewing the portrait in the gallery may see it as a giant Rorschach test made by Walt Disney. Whatever the artist’s intent, the animated caricature looking down on Smithsonian visitors will be a symbolic portrayal of what current and future conservatives will always view as a cartoon presidency.